Make your next family car exciting when you buy or lease a 2018 Toyota Highlander SUV. The 2018 Toyota Highlander configurations allow you to accommodate the entire family and transport all their gear. You'll cruise happily while enjoying the latest in modern tech inside the 2018 Highlander interior, and you'll be amazed at this 8-passenger Toyota SUV's enhanced fuel economy. 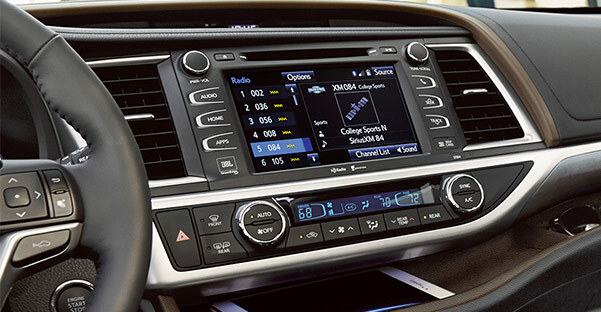 Plus, standard intelligent Toyota safety systems keep you in control. So why not come test-drive a 2018 Toyota Highlander at our Toyota dealership near Independence, MO? Get directions to Legends Toyota and buy or lease a new Toyota near Missouri! 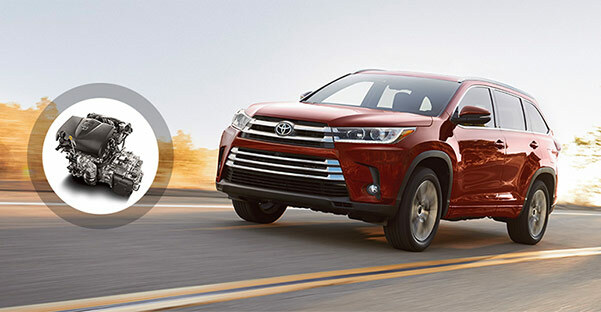 Legends Toyota has plenty of 2018 Toyota Highlander SUVs for sale, so visit our local Toyota dealership to learn more about the 2018 Highlander price, configurations and trims. Buy or lease a 2018 Toyota Highlander LE or SE SUV near Independence, MO!